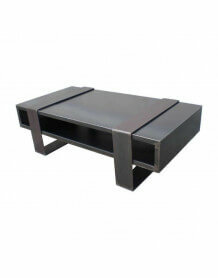 Rectangular coffee table, the crude steel of which reveals beautiful shades of blue gray to bronze with a majority of anthracite gray. Each table is unique in its color. 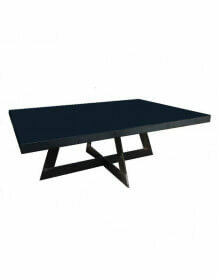 Our furniture of the range Steel have pure forms, minimalist and timeless. Each table has nuances or marks associated with the raw material of the metal; This is what gives this table its authentic and unique character. The lighter sanded welds contrast with the steel left natural, accentuating the industrial style of this realization. It is crude metal waxed, not varnished, it is advisable to use coasters to avoid possible marks and to wipe quickly any liquid spilled. To maintain and protect your table we advise you to wax it from time to time with a liquid beeswax and shine with a soft cloth. 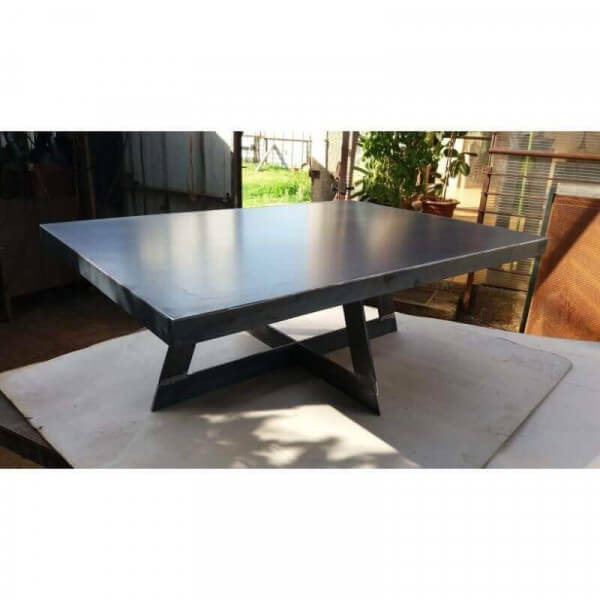 Each steel table is made by hand.